In this tutorial, you will learn how to get UPS API Access Key. 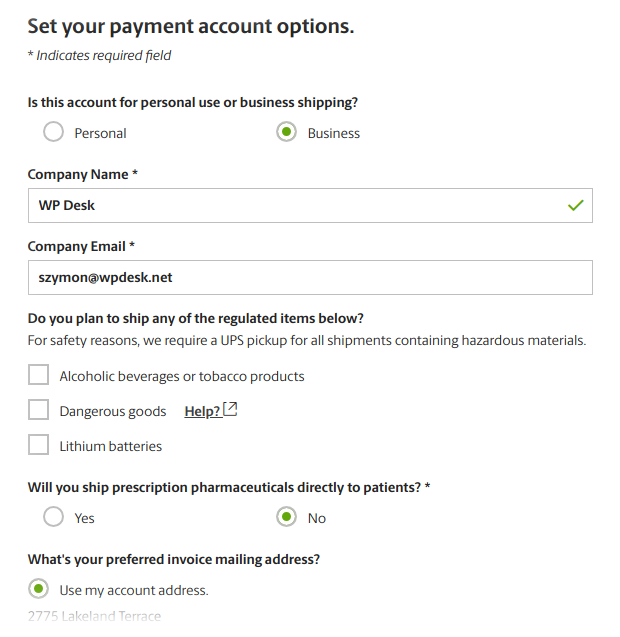 You'll use it to connect your WooCommerce store to UPS services. 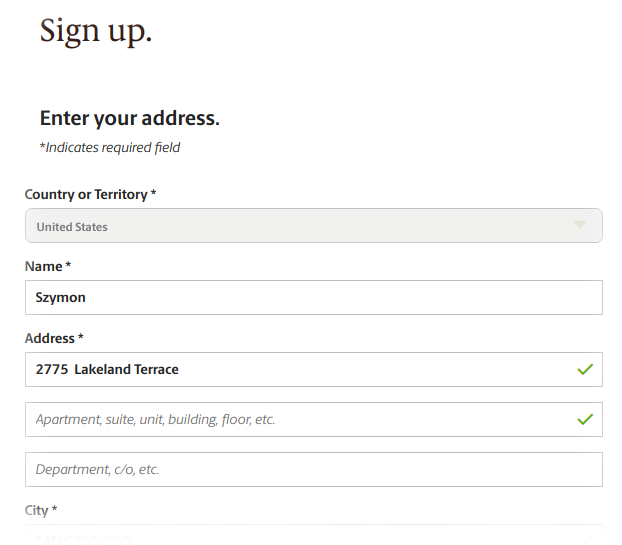 Log in to UPS.com. If you don't have an account, read a guide on how to register it. 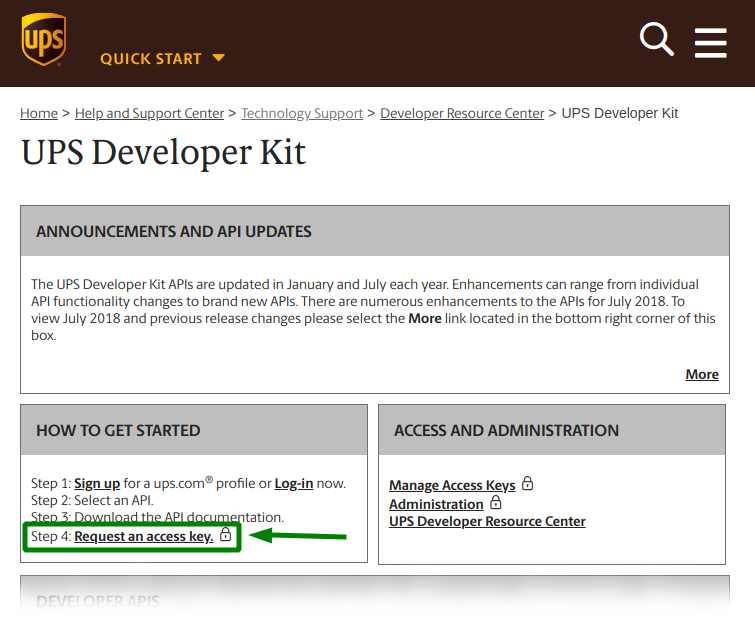 Once you log in, go to ups.com/upsdeveloperkit and select the Request an access key option. 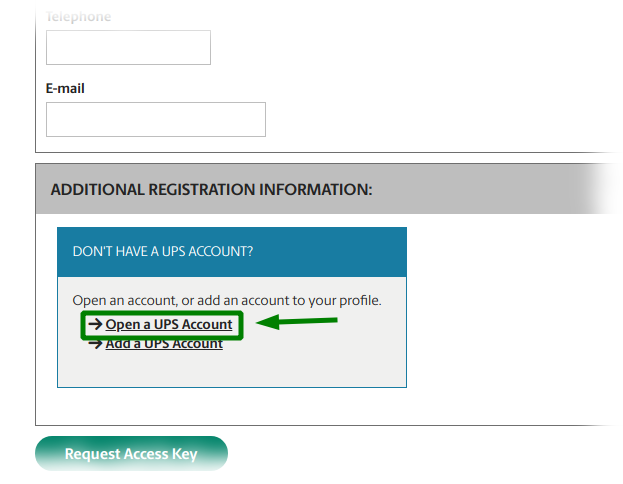 Scroll down the new page and click the Open a UPS Account link. 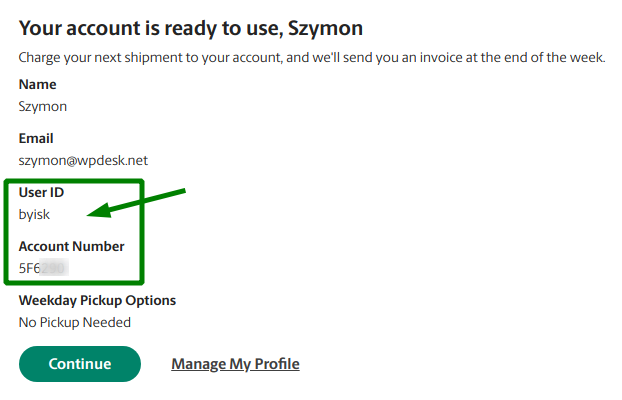 Now, set your payment account options. Then, again, click Next to proceed. The last thing, it's time to set choose your pickup type. The account is ready! Now, you have both User ID and Account Number. Once you have your account ready, you can request an Access Key. You've been here before. 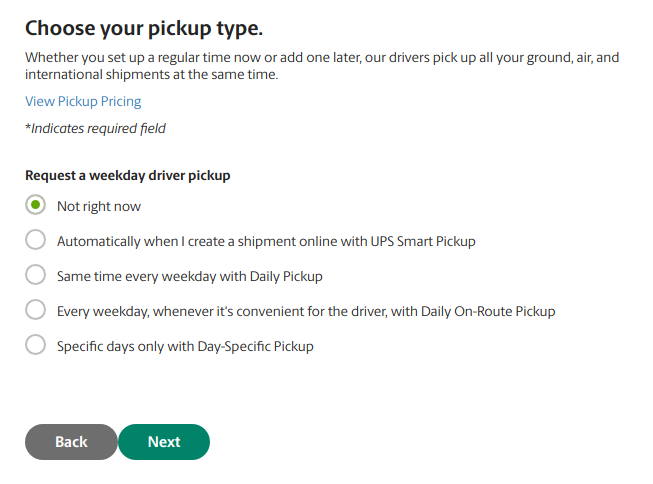 However, now you have a UPS Account (e.g. 5F6290 - Szymon). Click Request Access Key button. Now you have it! Use it to connect your WooCommerce store to UPS services.